A thousand miles north of Napa lies Canada’s Okanagan – an arid region of soft sandy beaches, clear blue lakes, and distant mountain valleys. On this fun-filled 6 day adventure, you’ll sample your way through the region’s best boutique wineries and farm-to-table eateries, plus enjoy the perfect amount of adventure. Welcome to Kelowna! Ideally located deep in the heart of the Okanagan Valley, this small town is the perfect launch pad from which to explore. Located on the eastern shore of Lake Okanagan, it is surrounded by provincial parks, pine forest, vineyards, orchards, and mountains. After picking up your rental car at the airport, kick back and relax this evening at your hotel, in anticipation of the excitement tomorrow will bring. Set out and explore the amazing scenery that makes the Okanagan one of the top places to visit in British Columbia. With beautiful sandy beaches, gorgeous vineyards, towering pine trees and desert landscape, it is like no other place in Canada you can enjoy the best of everything in one place. 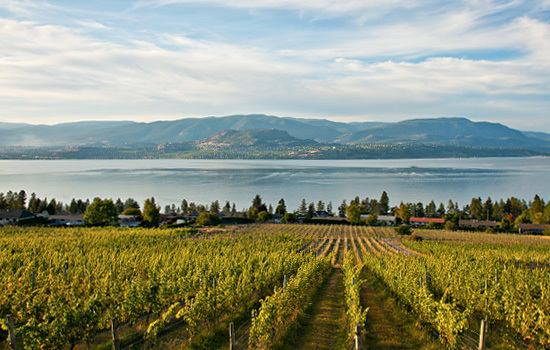 Experience scenic rolling hills, vineyards, orchards, and panoramic lake views of Kelowna. And of course, tour vineyards and sample unique wines along the way. Joining this tour will get you the VIP treatment at all the wineries you visit! The tour includes a picnic lunch consisting of fresh local produce, bread and spreads, charcuterie, and artisan cheese. Delicious! Enjoy an experience of a lifetime on beautiful Lake Okanagan in a 26’ sailboat. History and wildlife abounds! A perfect way to sightsee, relax, and soak in scenery. You’re in for a real treat today as you soar through the air in a hot air balloon! Conquer the skies as you fly above the Okanagan Valley floor, taking in the scenery in this unique and exciting way! Flights last one hour and include a champagne celebration and flight certificate. 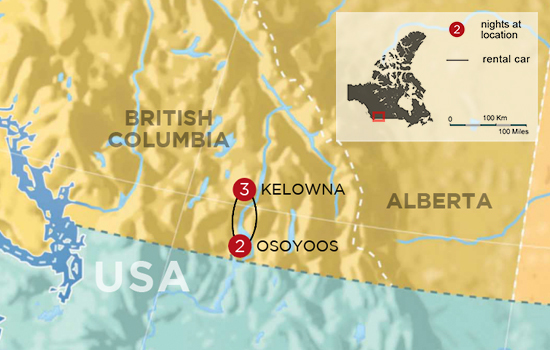 A short two hour drive south brings you to the town of Osoyoos. Pass through White Lake Grasslands protected area, Peachland, Summerland, Penticton and Oliver. All these areas are abundant with vineyards and small farm shops, so be sure to pick up some fresh produce along the way to enjoy! With its desert landscape, rolling hills, multitude of vineyards to choose from and the sandy beaches that surround the city, you can’t ask for a better location to relax and unwind. The temperatures in the summer months are unbeatable, along with the local ice cream shops placed perfectly along the beachside while you are out taking a leisurely stroll. Tour this fourth generation 650-acre organic farm, vineyard and winery in a vintage 1952 Mercury 1 Ton truck! Feed the cows, try grapes and strawberries directly from the vine and end with a wine tasting where you taste all the varietals that you learned about on the tour. This location has an organically grown wine portfolio that includes Roussanne/Viognier, Sauvignon Blanc/Semillon, Rosé and a variety of red blends. This truly is a fully immersive experience that will leave you with memories to last a lifetime! 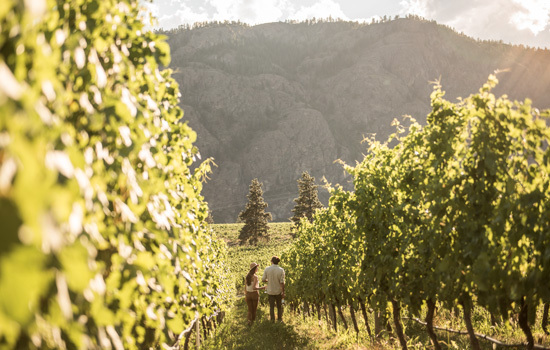 Tour the South Okanagan Valley through Osoyoos, Oliver, The Golden Mile, The Black Sage Bench, Okanagan Falls, The Naramata Bench and the Similkameen Valley. At Fresh Tracks Canada, we understand it’s important to sip, savour, dine, learn, make new friends, and most of all, have great fun! Much too soon, your British Columbia adventure comes to an end. Make your way back to the airport to drop off your car rental. *Additional departures may be available with customization. This waterfront resort situated on Lake Okanagan in Kelowna offers great views of the mountains and lake. Offering spacious accommodations and full-service amenities, including a private theatre and on site restaurant. Dine on the waterfront and take advantage of the lakefront location. Located near dessert wine country in the Okanagan Valley, the Walnut Beach Resort is surrounded by breath taking mountain views. This idyllic lake side accommodation is one of the finest hotels from which to explore the Southern Okanagan. Enjoy private lakeside beach on Canada's warmest lake, an on site grill & wine bar, and designer suites. Discover the best of Western Canada's greatest wine region on this exciting escape to the Okanagan. 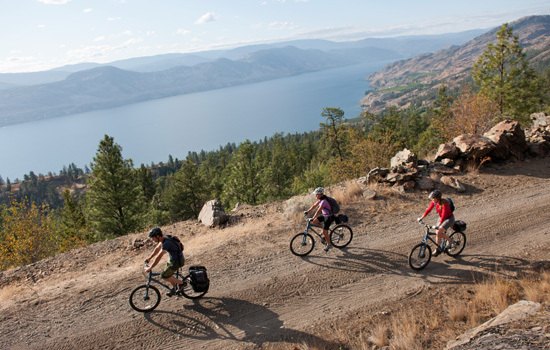 Explore Kelowna on a guided bicycle tour along the famous Kettle Valley Trestles. 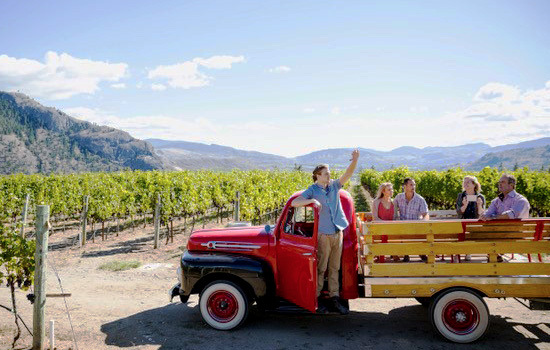 Spend the day discovering all the amazing wineries near Kelowna on a guided tour. 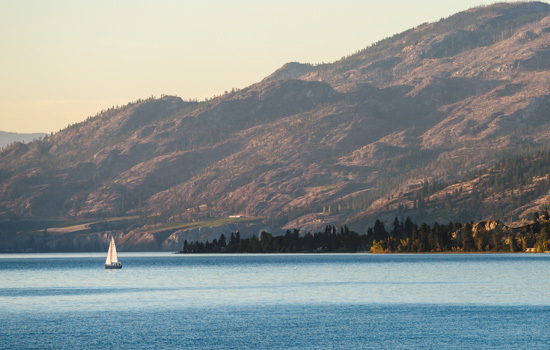 Glide across Lake Okanagan on a relaxing sailing tour – discover a highlight of the region, the lake! 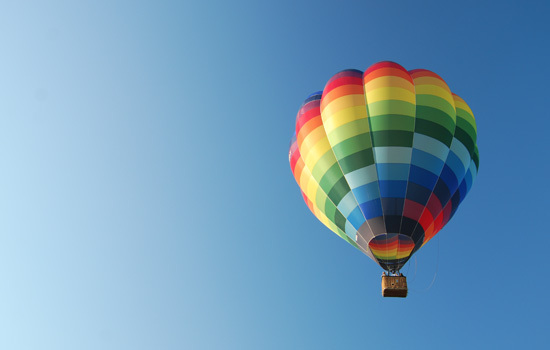 Cross an item off your bucket list by joining a once in a lifetime hot air balloon ride. Drive down to Osoyoos in the southern Okanagan at your leisure. 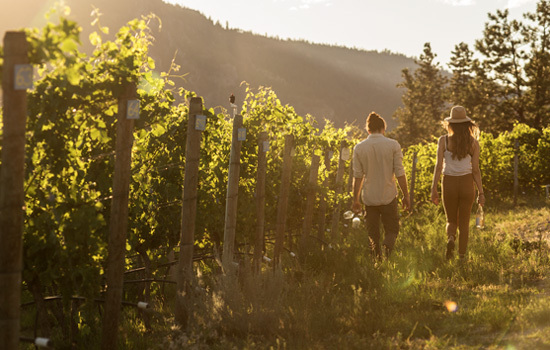 Discover and savour the amazing regional produce of the Okanagan on a local farm tour. 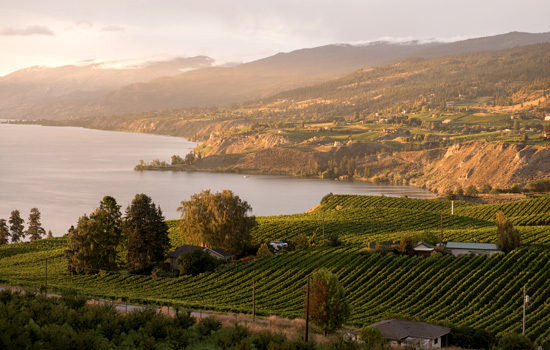 Alternatively, discover the wines of the Southern Okanagan and sip the day away.